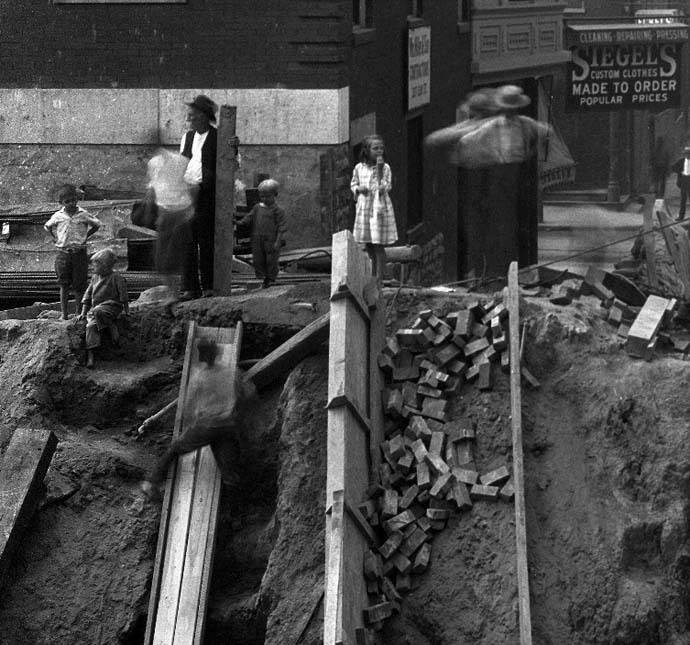 This curiosity often drew them directly into the midst of the construction sites, which were not restricted to the average citizen, as people walked casually by the workmen, almost unaware of the work that was being done, the workers seeming unaffected by the close proximity of pedestrians. 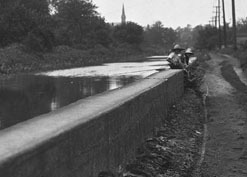 In many photographs, that proximity feels too close for comfort, with children found down in the construction trenches – or peering over walls, as in the images below. 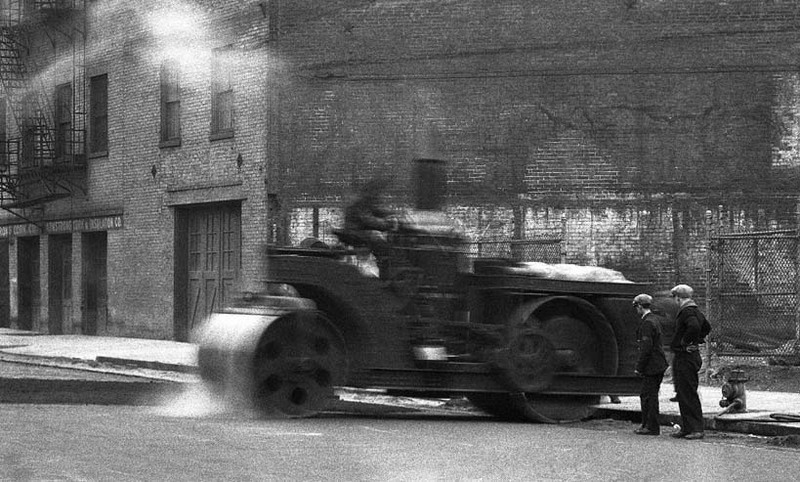 Workplace safety was much different in the 1920s than it is today, with very few safety regulations in place for workers – or for thse curious pedestrians. 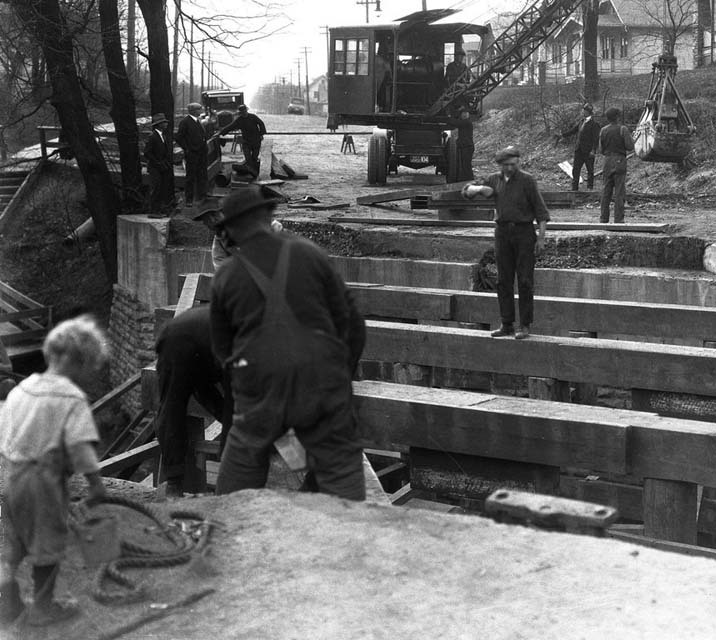 An article in Workforce Management’s 90th Anniversary blog, “Playing It Safe: A Look at Workplace Safety During the Roaring ‘20s and Now”, by Samuel Greengard, compared the working conditions of various labor industries of today with those during the 1920s. 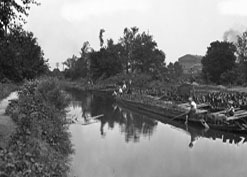 In his article, Greengard indicates there was not great deal of emphasis on workplace safety at the time, and that governmental regulations “were nearly nonexistent”, siting workplace-related injury and death figures from the 1913 U.S. Bureau of Labor Statistics. 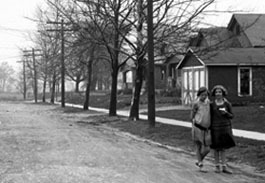 In addition to the construction areas where many children were found playing, the photographs also capture them on the sidewalks and in the yards of the new neighborhoods being built around the city as it grew. 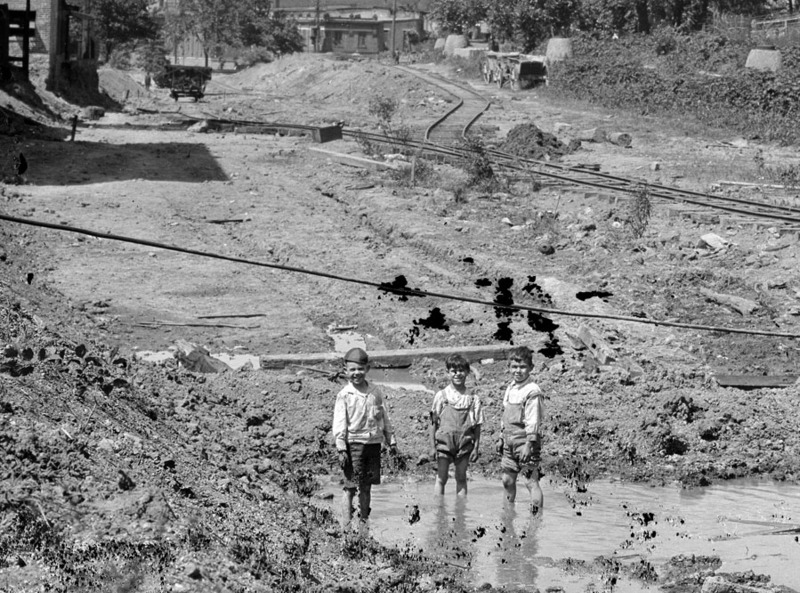 Mud puddles, porch rails and abandoned canal barges were all playgrounds for Cincinnati children in the 1920s-1950s. 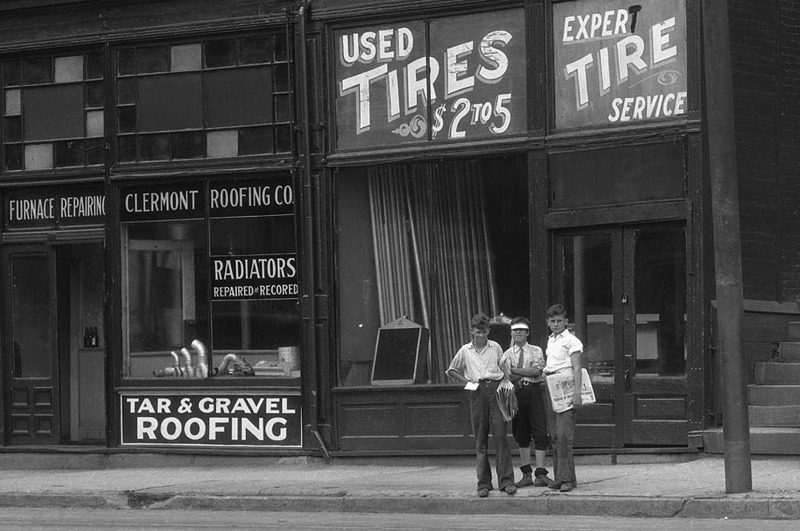 These images paint a portrait of a simple and free childhood which the children of Cincinnati enjoyed in the early decades of the twentieth century. 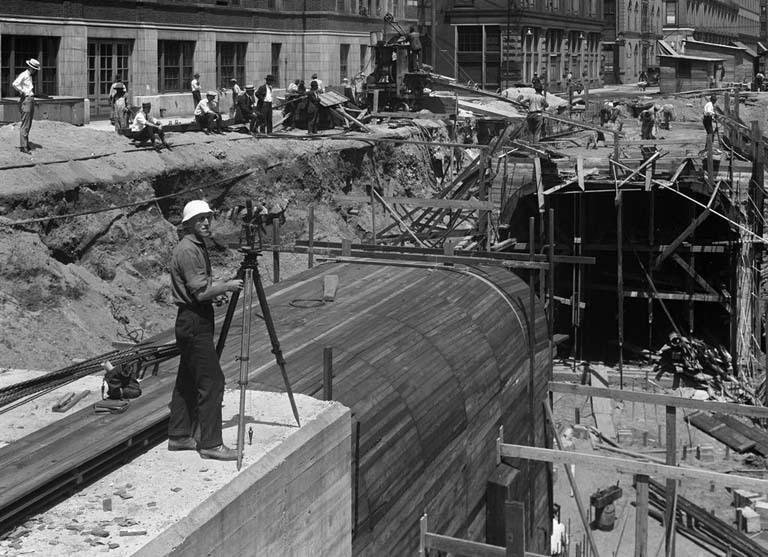 Whether they were formally posed, or the arrangement was completely by accident, photographer was attempting to create a portrait of the city as he moved from one location to the next recording the subway and street improvement construction projects.